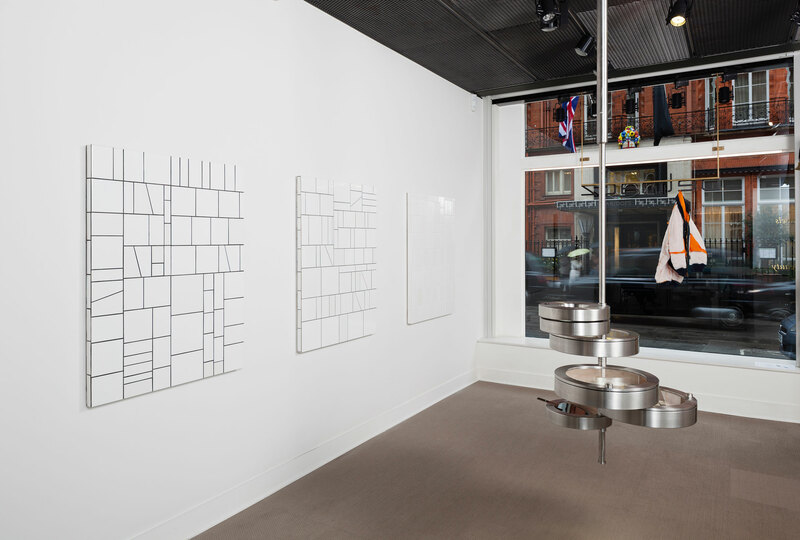 Julia Muggenburg is delighted to announce the third solo show of Simon Mullan, Popularis at Belmacz. 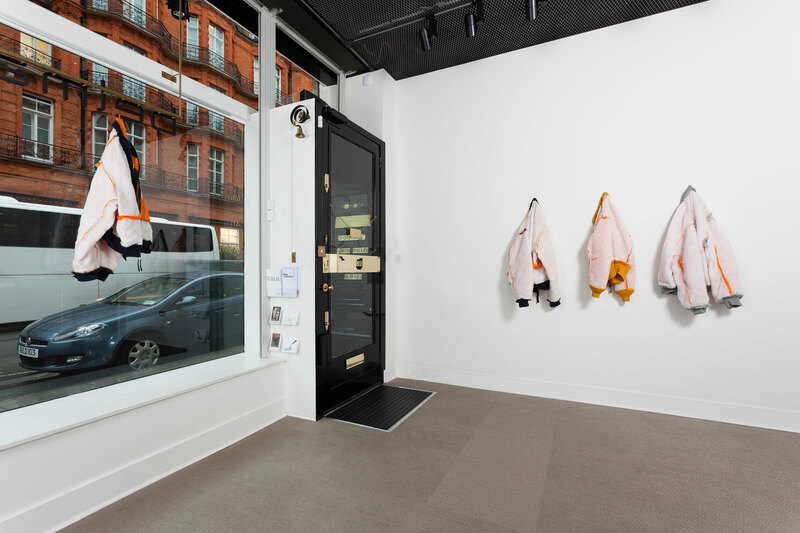 Mullan’s new works correspond to the Alpha series that derive from numerous collected iconic MA-1 flight, bomber jackets, historically tied to the American Air force. 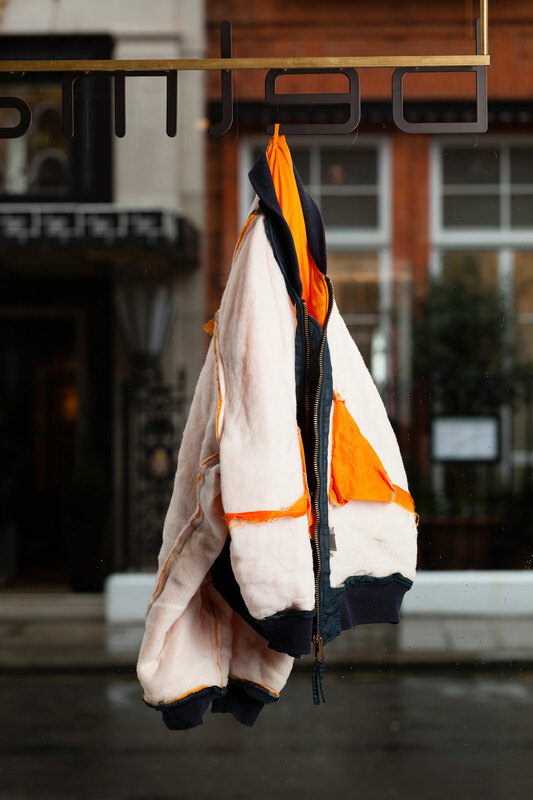 From his collection of various flight jackets, Mullan cuts and dissects them to then form collages using the outer layers of these fabrics. They are then sewn and stretched like a skin. 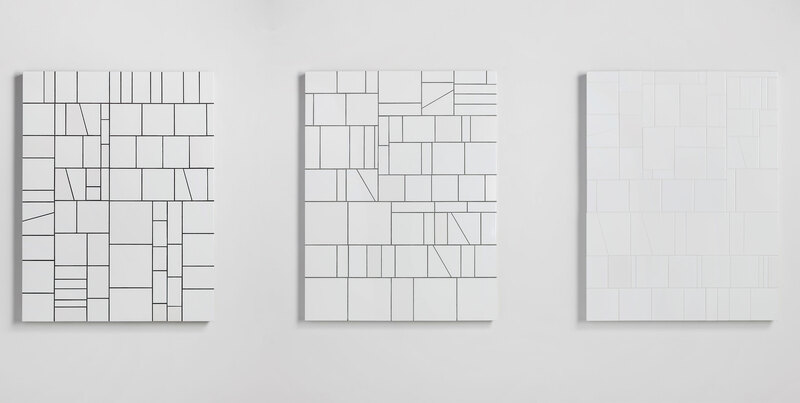 The humble, ageless and domestic tile appears in this show forming a triptych of varying degrees of white and again using the process of décollage and then collage. The tiles can be seen as a homage to the very simple job of being a tile layer… Fliesenleger! The tile goes back to the ancient Orient from very early times here it was used to decorate houses. It has become intrinsic to our culture. 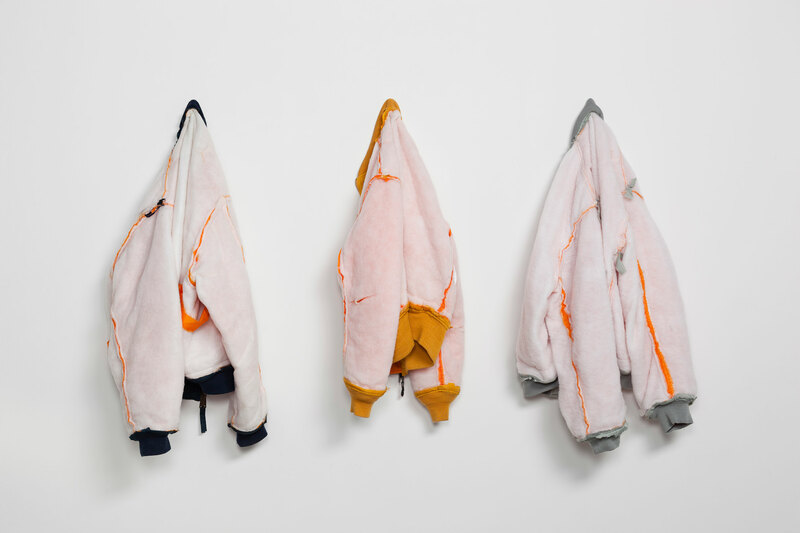 Alongside this piece are three so called skinned bomber jackets, the skins of which were used to form the Alpha series symbolising the remains of subcultures which he explores and adopts these culture’s attributes as his own. Some of these subcultures are: rockabilly, greaser (a.k.a. ‘raggare’ in Sweden), circus / carnie life, hip-hop & rap, the outsider, pariah or freak. On the surface Mullan’s work is aesthetically harmonious but below the surface and on investigation there are the harder gestures of masculinity and manhood.